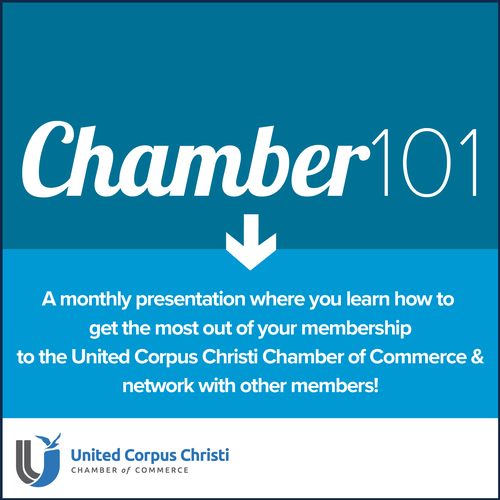 Attend Chamber 101 and learn how to maximize your membership with the United Corpus Christi Chamber of Commerce. Bring plenty of business cards for networking and to be placed in UCCCC office. Free and available to United Corpus Christi Chamber of Commerce Members Only.